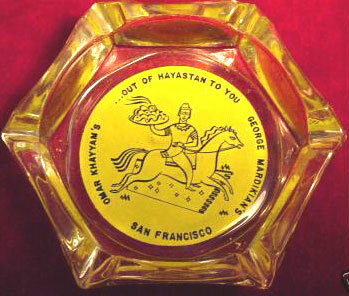 Ash tray from a restaurant in San Francisco called Omar Khayyam. It opened in the 1930s -- apparantly it still exists. Famous stars used to go there too.